The newly discovered ability of the human protein RBBP6 to interfere with Ebola virus replication suggests new ways to fight the infection. As viruses develop and evolve proteins to bypass the body's immune defenses, human cells in turn develop defense mechanisms against those viruses—an evolutionary arms race that has been ongoing for millions of years. 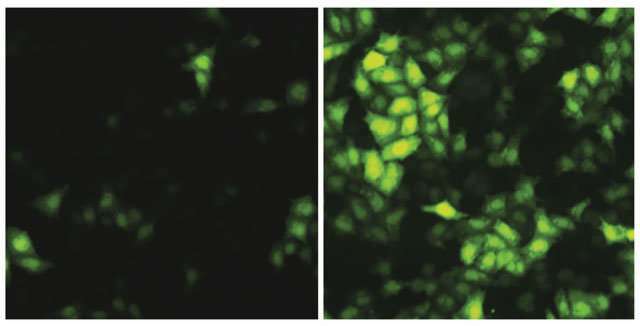 This particular defense mechanism has therapeutic potential, said co-lead author Judd Hultquist, assistant professor of medicine in the division of infectious disease at Northwestern University Feinberg School of Medicine. The Ebola virus, like other viruses, invades host cells and uses them to replicate, usurping cellular processes to build viral proteins, which eventually become new copies of the virus. In the current study, Hultquist and his collaborators used mass spectrometry—a technique that identifies specific elements in a sample by mass—to search for interactions between human proteins and Ebola virus proteins. They found strong evidence for an interaction between the Ebola virus protein VP30 and the human protein RBBP6. Emerging diseases will impact new regions as the world continues to become more interconnected and globalized, Hultquist said. In addition, the looming specter of climate change promises to broaden the reach of vector-borne diseases—by expanding the range of mosquitos, for example—requiring new strategies in curbing disease outbreaks. "It wasn't until the outbreak of 2014 that other countries started seriously worrying about the potential for a larger epidemic," Hultquist said. "It's no longer going to be a local problem that people can afford to ignore. We should be taking a much more proactive stance against some of these neglected viruses and be studying them in real time—so the next time an outbreak does occur, we're ready for it."